Ninety-seven years ago, in September 1920, Earle Dickson had an idea. As a Johnson and Johnson employee, he was frustrated by how difficult the company’s large tape bandages were to apply to small cuts. Inspired by treating his wife’s small cuts and burns at home, Mr. Dickson decided to cut and place gauze onto strips of tape and apply them precisely on the wounds. Johnson and Johnson liked the idea and eventually begin selling this product, but with only moderate success. After some design tweaks, the product took off, and “BAND-AID’s” became a household name, synonymous with protecting and healing wounds. Separations and divorces can feel like deep emotional cuts, and we all wish a BAND-AID could make things better. 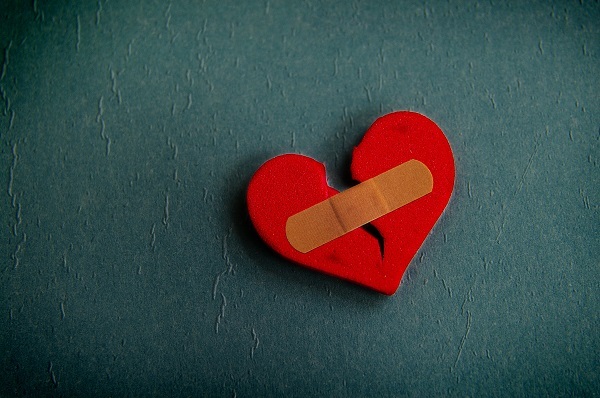 Unfortunately, when you are heartbroken, there is no quick and convenient product that you can apply to fix things. But with the theme of healing in mind, it is possible to take steps to protect and heal your heart after a separation. Establish healthy boundaries. Texting and social media have made it increasingly difficult to put distance between you and your former partner. Further, if you have children together, you cannot simply cut the person out of your life. However, you can un-follow your former partner and your partner’s family across social media and make it clear by text that the only context in which you will communicate is about facilitating visitation. Unless you both truly have an intention to reconcile, it is incredibly easy to fall into patterns of arguments, and even harassment. Further, it is incredibly unhealthy to the healing process to continuously observe your ex’s every move on Instagram and Facebook. Be selfish. The end of a marriage is a major, life-changing experience. Give yourself permission to grieve. You can seek the help of a therapist to discuss healthy coping. Or you can take a self-guided approach with support groups, friends, podcasts, or yoga and meditation. Further, grieving takes time. Just because someone you know seemed to “bounce back” quickly after a divorce does not mean that they are not grieving, or that your process has to look the same. Finally, focus on yourself and what makes you happy. Think about what makes you different and what makes you special. Remember who you were before you were married. Your marriage and divorce do not define you. In addition, do not rush into a new relationship. Many of us jump from relationship to relationship; however, accept that the end of a marriage is different and you need to honor the magnitude of the moment. If you are considering divorcing your spouse, you should speak with an attorney. North Carolina has a strict separation requirement prior to divorce. We can help you navigate your way through the separation process and help establish stability for you and your children in anticipation of your divorce. 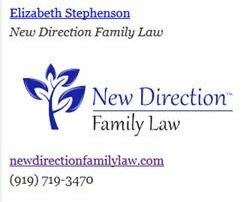 With two decades of combined legal experience in family law matters, the attorneys at New Direction Family Law will provide you with compassionate, comprehensive legal advice. Call our team today at (919) 719-3470 to schedule an appointment, or contact us online at our website.